WebOracle is the company of choice for top-end businesses looking to be a market leader in their field. We are an innovative, dynamic and creative agency that aims to help grow, develop and enhance your business online. We are visionary, and we can make a difference. If you can think it, we can build it. We excel at what we do; pushing boundaries to deliver excellence, all with one aim to provide clients with change. A transition aimed to diversify their perspective and provide them with a new outlook on their digital platform. Our goal is always to help our customers succeed in the digital environment of modern business. To achieve this, we have developed experience and expertise in a full range of online services, from cutting edge design and UX through to major site builds. 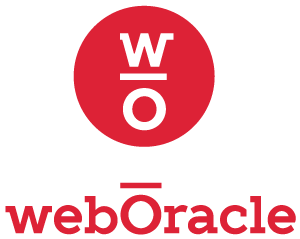 Explore a slice of our work and get in touch to see how WebOracle. Our goal is always to help our customers succeed in the digital environment of modern business. To achieve this, we have developed experience and expertise in a full range of online services, from cutting edge design and UX through to major site builds. Explore a slice of our work and get in touch to see how WebOracle can transform your online presence. With an app, you have a constant presence with your customer. Always visible on the screen of their phone or tablet, you can provide them with easily accessible information and allow your customer to access your services while standing in a queue, killing time on the commute to work, or when they take five to grab a coffee. With a strategic approach to search engine marketing, we use a combination of paid and unpaid techniques to drive traffic to your site and to help your business gain credibility. WebOracle can help you with relevant advertising that targets the right customer with the right messaging. We know how to create successful ad campaigns that will provide noteworthy results for your business.